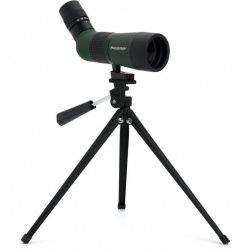 The spotting scope is a small portable telescope mainly for looking at terrestrial objects, normally be used in conjunction with a tripod for stability, some of the smaller models come with a desktop tripod. 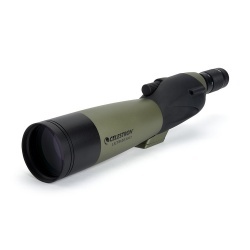 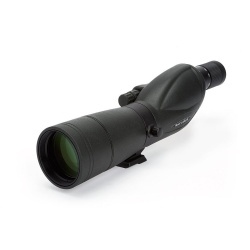 Primarily used for used for bird watching & other naturalist activities, for hunting, verifying a marksman's shots, and for any other application at distance that requires more magnification than a pair of binoculars may offer. 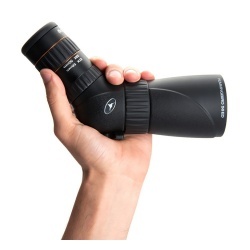 Spotting scope eyepieces are usually interchangeable to give different magnifications generally in the region of 60x with zoom eyepieces also available. 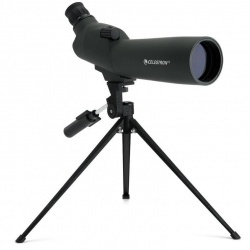 The scope eyepiece mount layout can be "straight-through" (the eyepiece is on the same axis as the body of the scope), or "angled" (the eyepiece is at an angle of usually 45 degrees to the body of the spotting scope). 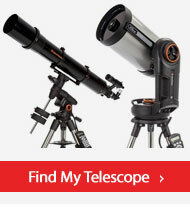 Popular models include the Celestron Ultima, Hummingbird & Landscout ranges. 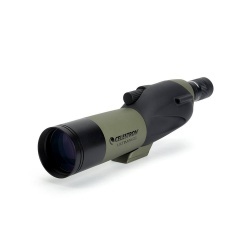 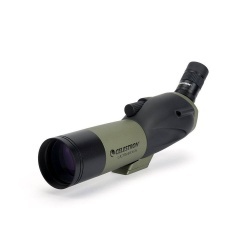 We have spotting scopes available in a range of types and sizes from the leading brand Celestron. 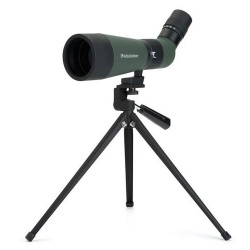 The shape and size of spotting scopes is derived from the prism they utilise. 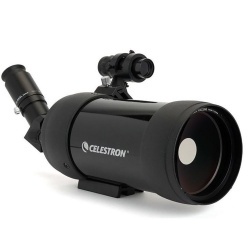 Celestron spotting scopes use the refractor design of prism, which keeps the unit compact and lightweight. 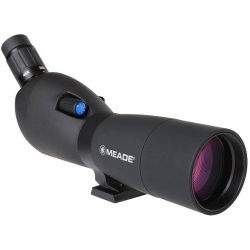 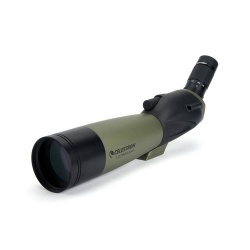 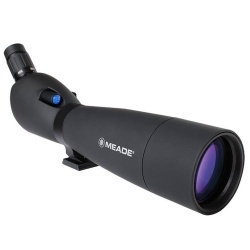 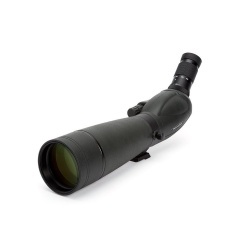 A spotting scope makes a great alternative to binoculars and we can help you choose a scope. 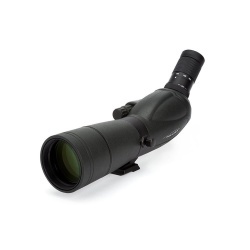 Spotting Scopes can be used for a range of activities including bird watching and hunting, we also stock a great range of bird watching binoculars.